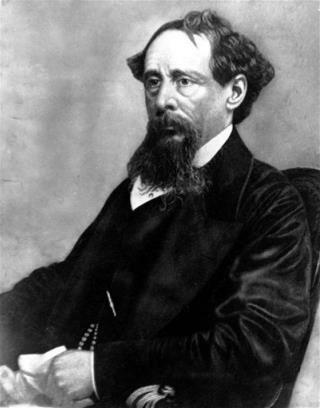 (Newser) – We could soon have some "new" Charles Dickens to peruse. Researchers are preparing to pore through the manuscripts of Dickens' novels using a device that reveals what the author crossed out, the Independent reports. That allows scholars to experience the novelist "almost thinking aloud on to paper," says a museum curator. They've already used the process on his story The Chimes, but there's much more to explore. 10,000 manuscript pages of: "All work and no play makes Charles a dull boy" over and over again. Alternatively, it could just say: "I hate the #$@@(* poor. Why am I writing this drivel?" Evidently it is easier to invent technology to reveal what he decided not to share than it is to come up with new material. Is it bad that i think this technology is a LOT cooler than whatever thoughts Dickens crossed out.